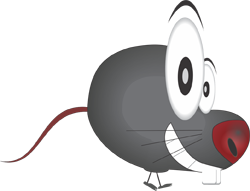 Did you register for RAT #1 yet? We certainly think that such chances do not come often in life. 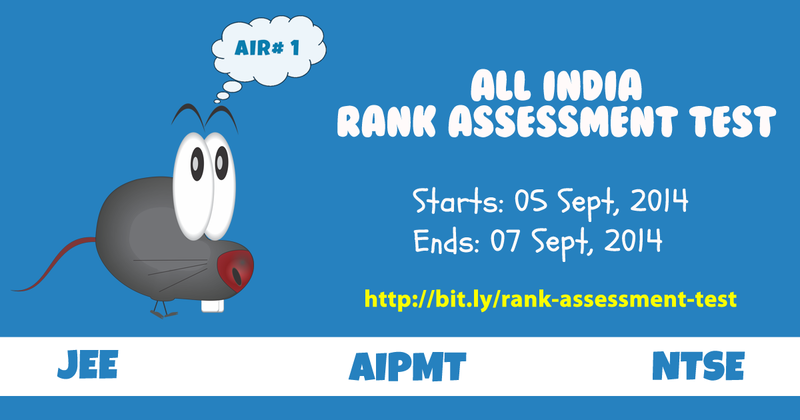 One attempt of the Rank Assessment Test will give you your current All India Standing on your entrance exam and a chance to earn many prizes. You also get to beat Rankie in its challenge. Rankie, the RAT, who thinks it is the smartest brain walking the earth, is challenging all you people to beat him on this test. It is sure of itself to get the AIR #1 in the upcoming entrance exams. Of course, you know that this rat can never win the race. So make sure to sign up for the test and bring many many more of your friends to take it as well. Rankie wants to win at any cost so it will do whatever it takes to make your test attempt useless. It has created a Rankie's Meter to decide how accurate your rank will be. To begin with you start at 2%, i.e. you will be ranked among 10,000 students. But you want the All India level for your ranking, right? For that you need invite friends. The more friends you invite, the more the Rankie's Meter will grow and your rank will be calculated among more and more students.